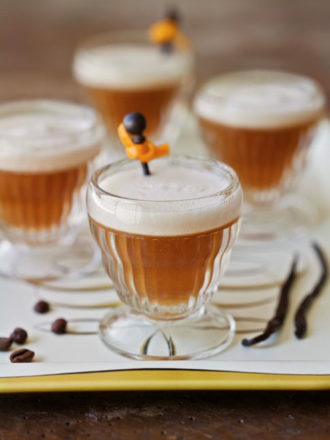 This flip cocktail harmonizes espresso with vanilla liqueur. This herbaceous Mojito riff is made for lounging in the backyard on a warm summer day. 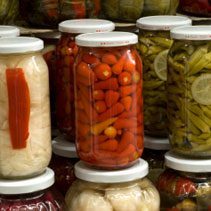 A little vinegar and a few spices will go a long way in this recipe for Bloody Mary pickled vegetables. Want to do a little cooking with beer? 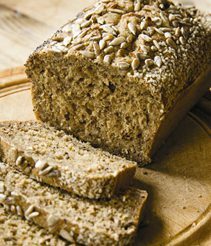 Then try this hearty sunflower stout bread. Simple syrup is a great addition to a home bar. Here’s how to make it. You can buy bottled pineapple syrup, but it’s also easy to make a fresh batch at home. No need to fix a drink that’s not broken. 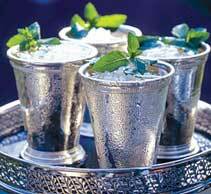 Here’s a great recipe for a classic mint julep, sans riffs. Equal parts bitter and sweet, this simple Negroni riff is almost too easy to mix. “It’s a bit laborious, but I think it’s worth it!” says Todd Thrasher of this inventive upending of the traditional winter warmer. Sorrel adds an herbal flavor to this tart grapefruit and tequila drink. Sake, shishito pepper and citrus juice collide in this Asian sour cocktail from the Tippling Bros.
“This pear and whiskey cocktail is the story of a flawed love, packing a sweet start with a bitter finish,” says Joel Baker. 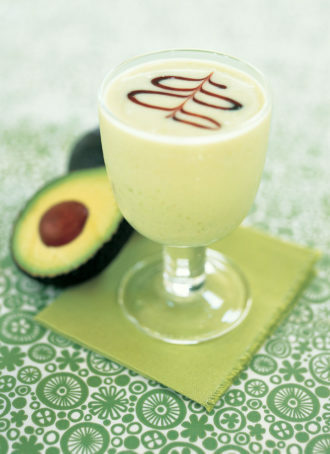 This super-smooth blended avocado daiquiri is a fantastic way to put your fruits to use. 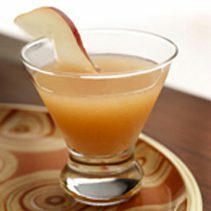 Fall flavors abound in this whiskey and pear cocktail. This summery blackberry gin smash highlights the flavor of creme de mure and fresh berries. 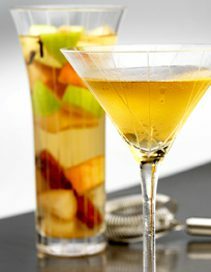 Death & Company’s Brian Miller mixed up a fruity combo of pear-infused tequila, applejack and herbal yellow Chartreuse.